Yes, you will receive all of your final images via password protected digital download making it very convenient for saving your images to your devices at home. I photograph newborns at two really lovely stages, either their first 14 days when they’re at their sleepiest and tiniest, or up to 6 months, when they’re awake and their personalities are starting to really show. Thank you Emma for doing what you do best and giving us so many wonderful pics of our beautiful baby boy we can cherish forever. After being recommended Emma Lawson Photography by a friend, I decided to book a bump photo shoot as well as a newborn shoot once ‘bumpy’ arrived. I’m so glad I did, as I love all the photos. Emma instantly made me feel relaxed during my pregnancy shoot. My husband came along too, but was a little unsure of having a bump shoot. However, with Emma’s laid back and relaxed approach we forgot we were even in front of the camera lens. If you have missed the first 14 days or 6-8 week stage, I also photograph sitter sessions in my studio. Sitters are babies who can sit up unassisted, usually between 6-9 months. For shoots that take place in the first 14 days, you’ll get beautifully natural sleepy pictures focusing on all your baby’s tiny brand new details, everything new parents are utterly besotted with. If you choose an up to 6 months shoot your baby will most likely be awake during the shoot and my focus will be on their eye contact, smiles, and everything that makes up their unique character. You will get all of your final images, anything from 40-70 images. I have a cosy home studio just off Queen’s Road in Aberdeen’s west end. Typically sessions take between 2-3 hours, it’s important the whole process is calm and unrushed, leaving plenty of time for feeding and cuddle breaks. WHAT IS THE DIFFERENCE BETWEEN A STUDIO AND AN IN HOME SESSION? Don’t worry about it, if you are stressed and anxious, your baby will sense that. All newborns are different and my style of shooting is very natural so if your baby isn’t ready to sleep right away, we’ll do some awake shots. If you would like to document your growing bump, maternity sessions are available in my Aberdeen studio, in your own home or at an outdoor location. You can ask questions, check my availability or book by filling in the enquiry form at the bottom of this page. 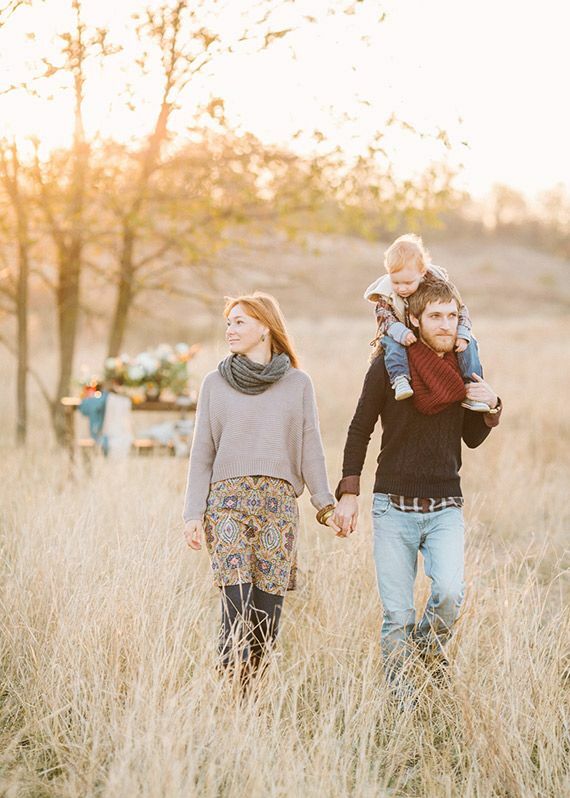 With both shoot types you have the option to add on parent/family portraits at the end, these are shot very informally, just you interacting with baby and no awkward posing. Your final gallery will be ready within 3-4 weeks and will be delivered via digital download making it very convenient for saving and sharing the images. Typically you will receive around 70 final images, all in high resolution with full printing rights. I photograph newborns at two really lovely stages, either their first 14 days when they’re at their sleepiest and tiniest, or between 6-8 weeks old, when they are still very small but becoming much more aware of the world around them. For shoots that take place in the first 14 days, you’ll get beautifully natural sleepy pictures focusing on all your baby’s tiny brand new details, everything new parents are utterly besotted with. If you choose a 6-8 weeks session your baby will be much more alert during the shoot and my focus will be on their eye contact, smiles, and everything that makes up their unique character. Babies between 6-8 weeks may or may not sleep during the session but if they do, you’ll get sleepy portraits too. Newborn Photographer Aberdeen, Aberdeenshire & ScotlandNewborn, children & Weddings Taking images of you & your family is an honour, and I look forward to welcoming you into my studio or seeing you out on location. If you are booking a first 14 days shoot, it’s usual to book whilst you are still pregnant, anytime after your 20 weeks scan is perfect. We won’t know when your baby will actually arrive so I block out session times for the month surrounding your due date and we confirm an actual date once your baby has arrived. The shoot was super comfortable and relaxing with plenty of opportunity to stop for feeds, changes and cuddles (!) The pictures are beautiful – simple and timeless. I can’t recommend Emma enough and am excited to show the shots off to all our friends and family! If you are booking an up to 6 months studio session or an at home session you can still book in during pregnancy or wait until your baby has arrived. I simply charge a flat rate for the whole shoot and that includes all of your images in high resolution with full printing rights. You receive your images via an online gallery and you can download the images to your home computer, tablet or phone, it’s also perfect for sharing with friends & family. I do offer a printing service but there is never any obligation to use this. You can see my prices here. “Blog” is an abbreviated version of “weblog,” which is a term used to describe websites that maintain an ongoing chronicle of information. A blog features diary-type commentary and links to articles on other websites, usually presented as a list of entries in reverse chronological order. 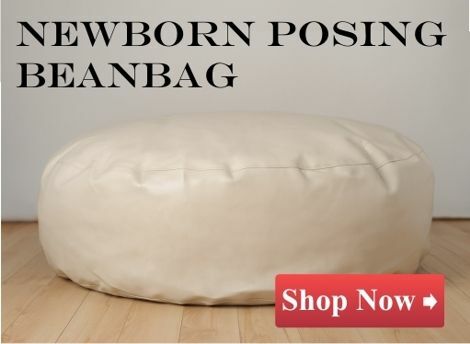 Not really, I like to keep the images very minimalist, focusing on all your baby’s little details. 2-3 hours for a full studio session, which sounds like a long time but allowing for changes, feeds and cuddle breaks, it really isn’t. 2 hours for in home sessions and 30-45 minutes for studio mini sessions. You will get all of your final images, anything from 40-70 images. Mini sessions receive 10 final images. Firstly, it’s my absolute privilege to get to photograph so many newborns, thanks for stopping by and considering me to capture those early days and weeks. My approach to newborn photography is all about documenting babies in very simple poses that are baby-led, allowing them to be in the positions they find most comfortable. I think newborns are perfect just as they are, so I photograph them against plain and cosy backdrops in a minimalist style, without the use of props. Your baby is my guide for the session, meaning each shoot is totally unique. I simply charge a flat rate for the whole shoot and that includes all of your images in high resolution with full printing rights. You receive your images via an online gallery and you can download the images to your home computer, tablet or phone, it’s also perfect for sharing with friends & family. I do offer a printing service but there is never any obligation to use this. From my home studio on Rubislaw Park Road in Aberdeen’s west end. I’m Emma and I get to call photographing tiny humans my job, pretty sweet!My approach to newborn and baby photography is all about documenting them in very simple poses that are baby-led, which means allowing them to be in the positions they find most comfortable. I think newborns and babies are perfect just as they are, so I photograph them against plain and cosy backdrops in a minimalist style, without the use of props. Your baby is my guide for the session, meaning each shoot is totally unique. At set times throughout the year and on a limited basis I offer studio mini sessions. These sessions last 30 minutes and are shot using just one neutral backdrop and don’t include parent/family portraits. Baby can be asleep or awake for these sessions and you will receive 10 edited digital files with full printing rights, delivered via digital download. This shoot type is perfect for gifting or for families who don’t want a full shoot but still want a beautiful documentary of their new baby. The availability of studio minis is announced via my social media channels (FB & instagram) and are usually limited to specific months of the year. Mini sessions are only suitable for babies 14 days or under, older babies require a longer session time. At home sessions are purely documentary, my main focus is you and your little one and telling the story of you as a family, whether that’s giving baby a bath or just cuddling on the couch. I also take lots of pictures of baby on his or her own, focusing on all the tiny details. For those images I might photograph baby on your bed, in their crib or somewhere else in your home. I don’t bring any studio equipment with me other than my cameras, it’s all about using your environment as the backdrop. At home sessions can take place from birth to 6 months old. If you’re baby is older than 6 months that’s fine too, just head over to the family session page for info. 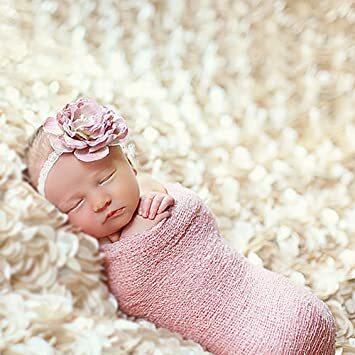 We had Emma for our newborn shoot and she was fabulous. She is such a nice person, very chilled and so patient. We absolutely LOVE the photos she took of Maisy. So much so we are booking her for Maisys 1st Birthday shoot and our wedding. From my home studio on Rubislaw Park Road in Aberdeen’s west end or in your own home depending on the session type you book. Absolutely but there is never any obligation to purchase anything else after your session. As new nervous parents we were slightly nervous about how Emily would react to a photo shoot but it was such a relaxing, exciting experience! Emma made us feel very relaxed and we took our time and worked around Emily. The photos have turned out amazing and well exceed our expectations. We can’t wait to show her off to the world! thanks Emma! Yes, you will receive all of your final images via digital download using a password protected gallery and on a USB. Thank you we love the pictures so much and can’t stop looking at them, I already have my favourites. You have captured Matthew’s little personality and we finally have pictures of the three of us! You did a perfect job! Don’t worry about it, lots of babies don’t arrive on their due date. Once you are booked in I allow for your baby to be early or late by blocking various dates out for your shoot. I also limit the amount of newborns I shoot each month so I always have good availability for every baby, no matter when they decide to appear. 2-3 hours, which sounds like a long time but allowing for changes, feeds and cuddle breaks, it really isn’t. If you are booking a first 14 days shoot, it’s usual to book whilst you are still pregnant, anytime after your 20 weeks scan is perfect. We won’t know when your baby will actually arrive so I block out session times for the month surrounding your due date and we confirm an actual date once your baby has arrived. If you are booking a 6-8 week session, it’s still best to book in whilst your pregnant to ensure availability but if your baby is already here please do get in touch, as I can sometimes fit in extra sessions. Hi, I’m Sarah and I photograph families, Newborns, Babies, Children & Weddings. 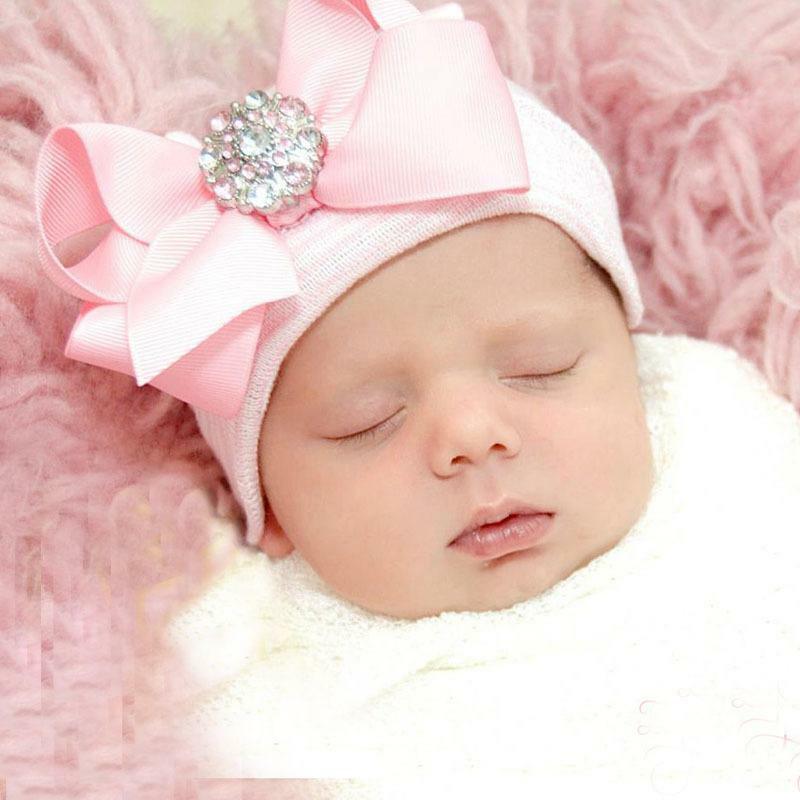 I am fully trained in Newborn Baby Photography and more importantly trained in the SAFETY of newborn photography. 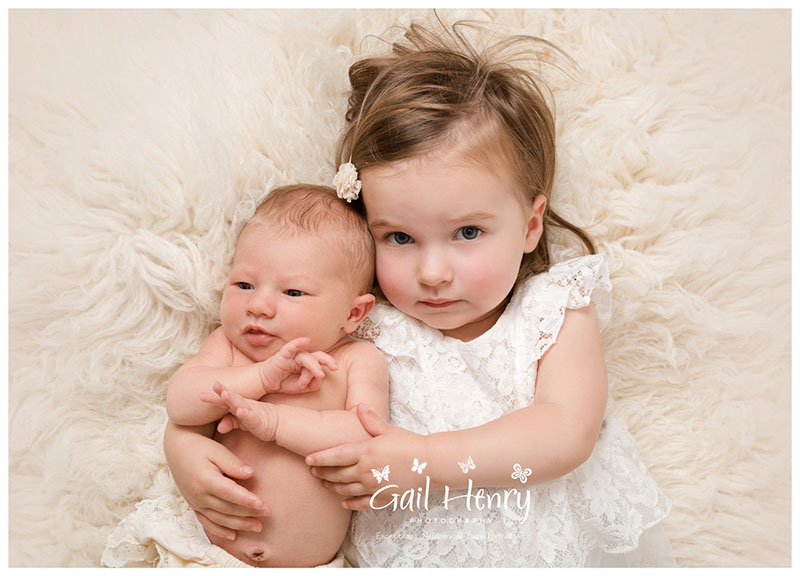 I use both studio & natural light and I use natural poses to highlight the beauty of your baby. My sessions are baby led, which means lots of cuddles and feeding breaks and we go at the pace of your baby. The Best time to book your newborn session is once you have had your 20 week scan. 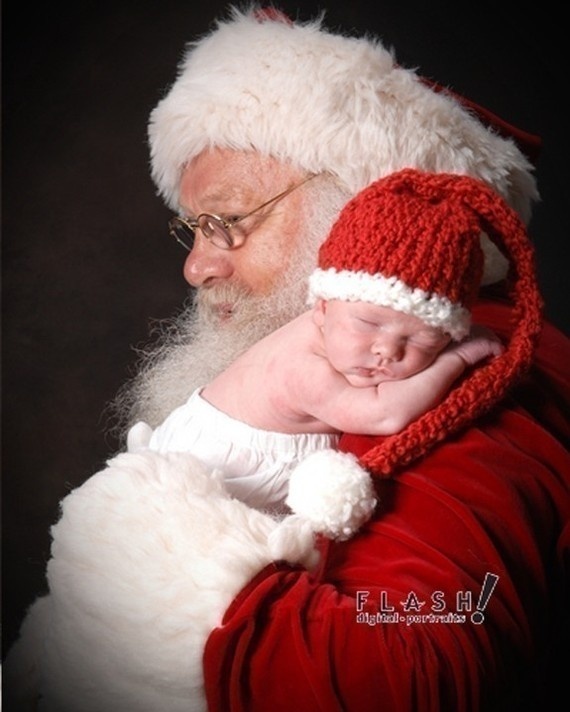 Sessions take place before your baby reaches the age of 2 weeks old so that they are sleepy and will snuggle into womb poses. However, I never turn away babies older than 2 weeks old, but I will speak to you about expectations and how your baby may not be as sleepy or curl into the poses you see on my website. Two weeks following your session, your selection of images, usually a minimum of 30 will be hand edited by myself and placed into an online viewing gallery. From this gallery you can select your favourites for your final order. I will show you print & book samples at your session so you know what the products look and feel like. I am fully insured and I am a Limited Company. I LOVE what I do and it’s important to me that you know these things before you book me. I also photograph children of all ages, families, extended families, christenings, playgroups & small weddings. I am based in Banchory Aberdeenshire and I work from my home studio. But I also shoot on location in and around Aberdeen & Aberdeenshire and I can come to your house where lifestyle sessions tell your story in your own personal environment. I love to document beginnings, love and personalities. I look for beautiful light, connection and candid moments. I would love to tell your story. Everyone of us is different, everyone of us has our own story. Even tiny babies are unique & individual. Taking images of you & your family is an honour, and I look forward to welcoming you into my studio or seeing you out on location. Just a baby grow and take a plain vest with you. Most of the time I will shoot your baby in my own wraps so you don’t need to bring your own outfits. If there is a special shawl or blanket, I’d be happy to incorporate it. I usually find mornings are best but the shoot can happen whenever you like and lasts between 1-2 hours. I have a cosy home studio just off Queen’s Road in Aberdeen’s west end. Typically full studio sessions take between 2-3 hours and mini sessions take 30-45 minutes. Emma!! I cannot thank you enough for the beautiful photos that you took of our little Lucy! Hanging out with you and Lucy was a lovely way to spend a saturday morning, and Dan and I are absolutely thrilled with the images!! I can’t stop looking at them! The are very special – we shall treasure them forever! With studio sessions the greatest focus is on baby and with in home sessions the focus is on you as a family. You can see a typical studio session here and a typical in home session here. You sure can, until your heart’s content. You can never have enough cute baby pictures.